A summary of the key lessons I learned from reading Great at Work. Do fewer things, and do them well. As much as possible, focus on one thing at a time. 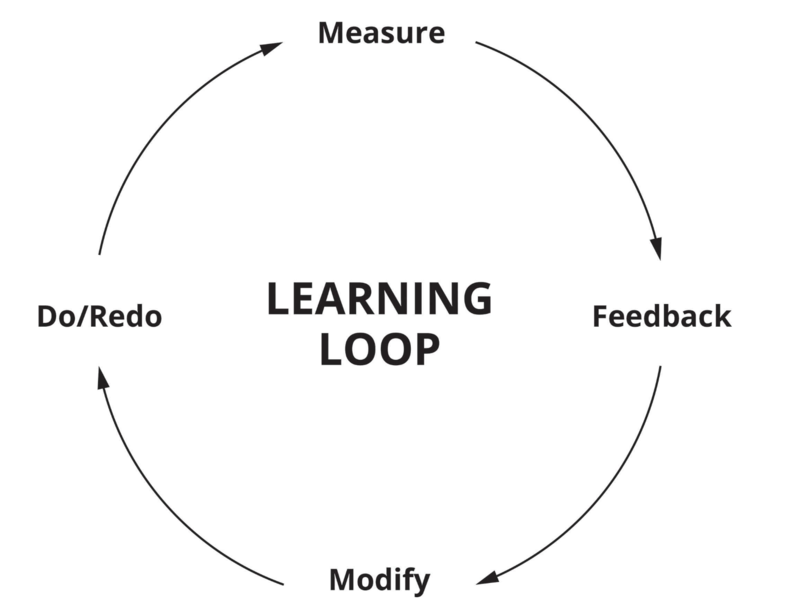 Learning loops are processes in which you choose a skill to improve and iteratively get better at it. For the given skill you want to improve: what small behaviors can you incorporate to improve that skill? As you begin exercising the new behavior, measure changes in the skill. Let’s say you want to work on improving the meetings you hold at work. You would pick one skill to focus on: for example, making eye contact with teammates while speaking. At the end of each meeting you would ask yourself if you met that goal, and also ask your teammates if they felt the meeting went well. Solicit feedback and incorporate that into your learning loop. Commit to projects to avoid obsessing over key priorities. Let everyone know what you’re working on and why you’re working on it. Ask key colleagues (such as your manager) to help prioritize. Value of Work = Benefits to Others × Quality × Efficiency. Maximize the value of your work by improving all coefficients of the equation. You can increase performance up to 50 hours per week. After 65 hours, performance starts to wane. Work smarter, not harder. Purpose and passion are what allow you to enjoy your work. They are the second-best predictors of your job success. Top performers have both elements in their careers. You must believe your work is causing no harm - to your employer, teammates, or the people you serve. Reframe what your work accomplishes in a way that makes sense for you. I work on the Facebook Marketplace - I also care about minimalism. I like the idea of finding every product a home (reducing waste) whereas other people may find the other aspects of Marketplace more meaningful to them. Find social value: how does your work make the world a better place? You enjoy the tasks you’re doing, you receive recognition for good work, you trust and enjoy the enthusiasm of the people you work with. You are learning and growing. People respond to “high arousal emotions” - anxiety and anger, excitement and joy. Use excitement when describing the future, fear and anger for the present. People also respond to stories - use photos, data, or demos to paint a story for your cause. Make people feel purpose and inspiration to support your efforts. This is why company’s have “mission” statements. “Grit” is being unrelentless - by itself, it can lead to burnout or hurt relationships with other teams. The “smart” aspect means you not only persevere but take into account the perspective of others. Put yourself into the shoes of others. Discuss and understand their views. Confront and compromise when necessary. You don’t have to convince people by yourself; mobilize others to advocate on your behalf. Invite opponents and include them in ownership of ideas. Create a working environment in which teammates can have productive and passionate debates. Everyone should feel like they have a voice and won’t get punished for saying the wrong thing. Scrutinize assumptions, consider alternatives, and challenge one another. Don’t interrupt - let others finish their thoughts. Engage in meetings and conversations - do not multi-task. If you find yourself doing this a lot, then perhaps the meeting is not worth the time at all. When listening, allow pause and paraphrase your understanding of what was just said. Try not to think about what you’re going to say next. When decisions are made as a team, don’t second guess them. Commit and go do it - raise concerns at right time instead of building resentment after decisions have been made. Foster this attitude within your team as well. If you can’t devote full resources, scrap the collaboration or scale it back. The purpose of collaboration is NOT collaboration: it’s better performance. Make goals around collaboration that are unifying; common, concrete, measurable, and finite. Lack of competence Get a sense of track record / prior work and start small with a pilot project. Lack of congeniality Bond by asking and sharing personal information, finding things in common, team exercises. 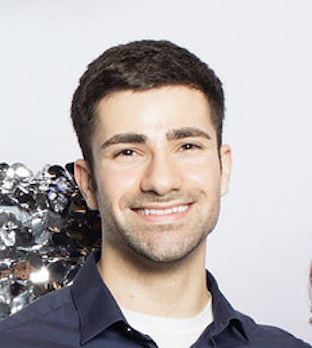 I want to come to work excited to learn something new and to sharpen my skills in a field I’m passionate about. I want the result of my work to be beneficial to other people - both my organization as well as society. I want to work with people I enjoy spending time with and that I can trust to do high quality work. I want to have heartful debates around priorities and direction. I want continuous opportunities to learn, teach and to listen. Habits and other things I swear by. © 2018 Amir Sharif. Powered by Jekyll & Minimal Mistakes.